Please welcome our next curator for Real Scientists, Dr Matthew Francis. 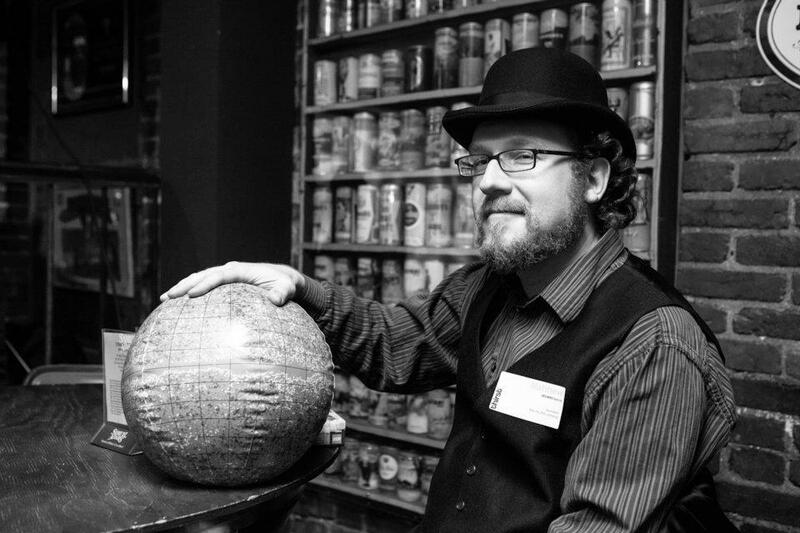 Be-beareded and be-bowler hatted, and hailing from Richmond, Virginia, Matthew is a physicist, science writer, public speaker, and educator. Matthew writes and speaks on cosmology, astronomy, and many other subjects in physics, all aimed at non-specialist audiences. He also directs CosmoAcademy, teaching and organising classes on astronomy and related topics. Just to add to all this coolness, Matthew I have appeared in comics form as Pluto’s moon Nix. And, he’s currently writing a book on cosmology, with working title Back Roads, Dark Skies: A Cosmological Journey. We are delighted to welcome Matthew on board at Real Scientists. Physics is what underpins every thing in the universe – it’s a huge statement but completely true. Matthew also takes the work he’s done and communicates it to a huge audience, from Galileo’s Pendulum, to covering the physics and astronomy beat for Ars Technica and Double X Science, where he serves on the editorial staff. His writing has also appeared at BBC Future, the New Yorker‘s “Elements”, Wired Science, the Scientific American Guest Blog, Culture of Science, and the 365 Days of Astronomy podcast. Matthew tweets at @DrMRFrancis and blogs at Bowler Hat Science. We’re privileged to have him tweeting for us, so get your sciencey questions ready. Welcome Matthew!